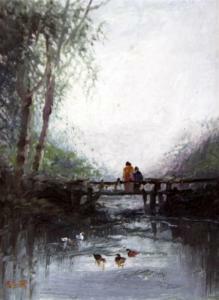 Find artworks, auction results, sale prices and pictures of Sarah Louise Kilpack at auctions worldwide. 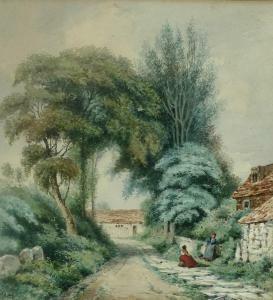 Sarah Louisa Kilpack SWA (British, 1839-1909): a rural village scene, possibly the Channel Islands, with figures talking in the lane, tall trees above, watercolour, signed lower left, with legend verso, 22 by 20cm, framed, 40 by 35cm. 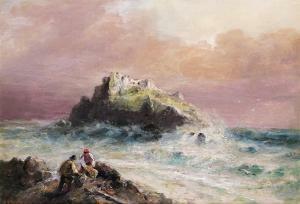 The artist more famous for stormy coastal maritime studies and Channel Island scenes. 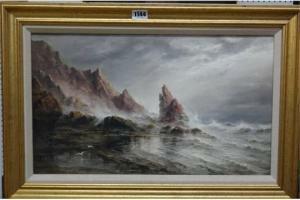 Generally in good condition, expected wear, amateur mounts, some foxing, could do with a clean.